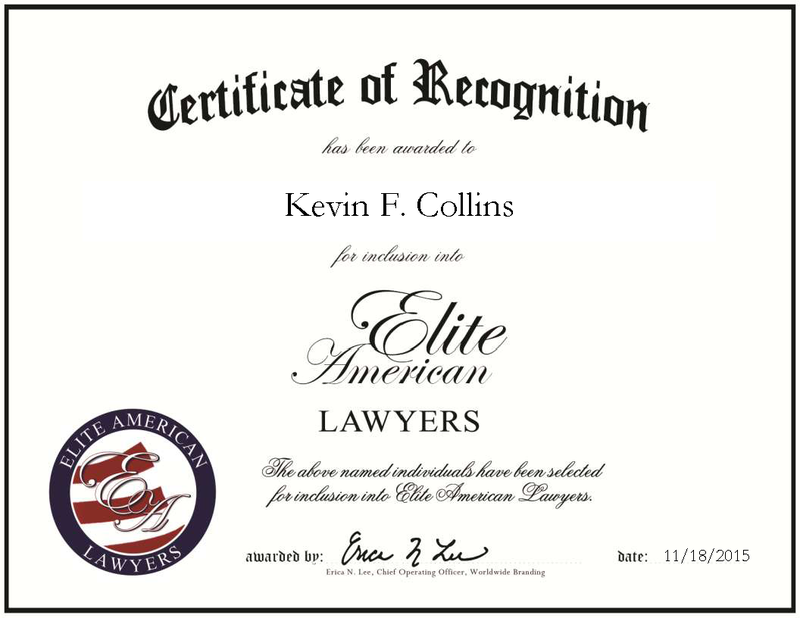 Stamford, CT, November 18, 2015, Kevin Collins, Lawyer at the Law Offices of Kevin F. Collins, has been recognized by Elite American Lawyers for dedication, achievements and leadership in family law. Driven by a passion for helping families struggling with adversity, Mr. Collins provides legal services in all areas of family law, including divorce, legal separation, annulments, alimony and spousal support. Additionally, he takes on matters of custody, child-related issues and prenuptial agreements. Backed by 32 years of professional experience, Mr. Collins attributes his success to being confident and knowledgeable, as well as having a courtroom demeanor that helps his clients. Additionally, he demonstrates a great understanding of the psychological aspect of family law, which he feels is a necessity in his field. Mr. Collins holds a JD from Hofstra University and a Bachelor of Arts from Fairfield University. Initially focused on insurance law and personal injury law, he transitioned to family law under the recommendation of one of his industry mentors. In private practice since the early 1990’s, Mr. Collins’ practice has grown to include two associates, Amy Jane Wilson, who has been with him since 2007 and Amelia Gabriel, who has been with him since 2010. In the years ahead, Mr. Collins plans to continue offering quality family law service in the Stamford region. This entry was posted in Family Law and tagged alimony, annulment, divorce, legal separation, spousal support, Stamford. Bookmark the permalink.